Represented by their mix of rustic and contemporary finish, these mason jars with distressed gray are the state-of-the-art decorative accessories that give beauty and harmony to your home. The jars are made with premium glass material which is sturdy and durable. They come without lids as they're attached to the brown sconces to install on any wall. They're versatile and convenient for candle lighting, bathroom storage, kitchen planter, and more. 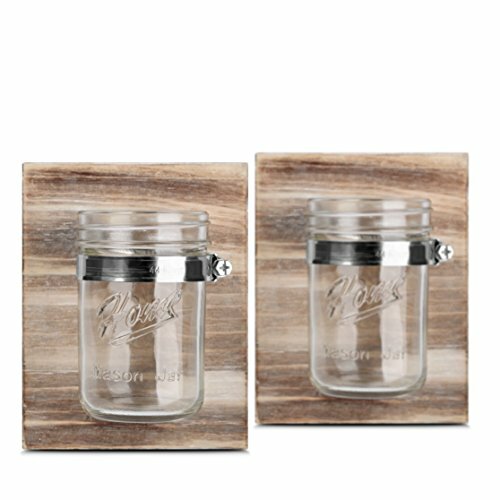 Give your walls a beautiful decor by clicking add to cart above and getting these decorative mason jars today! If you have any questions about this product by Gbtree, contact us by completing and submitting the form below. If you are looking for a specif part number, please include it with your message.